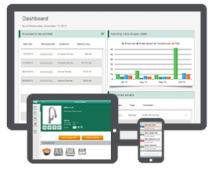 Sage 100 ERP (formerly "MAS 90/200) systems offer a broad selection of feature-rich solutions including core accounting, business intelligence tools, customer relationship management, e-commerce, HR and payroll, manufacturing, and distribution. Sage 100 ERP works the way you do with flexibility that enables you to choose the modules that best suit your business needs. Sage CRM is a unique solution with many useful features. It can be accessed wirelessly through a browser to give the user anywhere access. This CRM solution is a growth cycle starting with marketing campaign to automated sales force and after sales history tracking. This module holds important information such as customer and prospect details as well as business partners. The information is organized and capitalizing on this resource can build a higher net worth. By centralizing all the current and historic information about active and nonactive employees of the organization, Sage HRMS (formerly "Sage Abra") eliminates ambiguity. It gives you unmatched views of your workforce - at macro and micro levels - enabling you to securely share the data with executives and managers. The benefit? Precise, rich analytics that embolden your company leaders to make decisions based on fact rather than gut instinct. Accurately tracking their varied life cycles can be a daunting task - especially when there's so much at stake. Sage Fixed Assets can help. Make an impression with every customer visit and increase your revenue per sale. Take a payment on the spot or make it easier for customers to pay you using an emailed invoice and electronic payment. Sage Mobile Solutions enable you to do business anytime, anywhere. With Sage Mobile Sales, Sage Mobile Service, and Sage Billing and Payment, you'll have the tools you need to grow revenue and provide a better customer experience.